Bells Crossing located in Mooresville, NC is a community of beautiful homes ranging in price from the $425’s to $5 Million. These incredible homes are well built and are energy efficient. Square footage ranges from 2,865 to almost 5,000. Hosting over 192 homes there is a home here for everyone’s liking. This community has limited waterfront lots and new phases are under construction. Community amenities include a Junior Olympic sized pool, lakeside cabana, tennis courts, multipurpose sports court, jogging trail, walking trails, storage facility, large clubhouse, playground, play field, and access to Lake Norman for fishing and other activities. Located just minutes from I-77 Bells Crossing is conveniently located to Charlotte and Greensboro, no matter where you want to shop, dine or perhaps work. Looking for small town charm, love the outdoors? 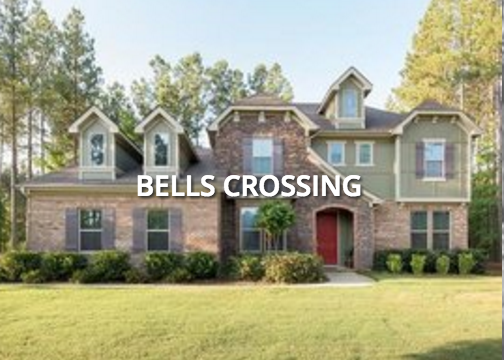 Then call Nadine and let her show you your next dream home in Bells Crossing!